For the 13th year, the City of Boca Raton is proud to sponsor the annual PGA TOUR Champions event at the Old Course at Broken Sound. 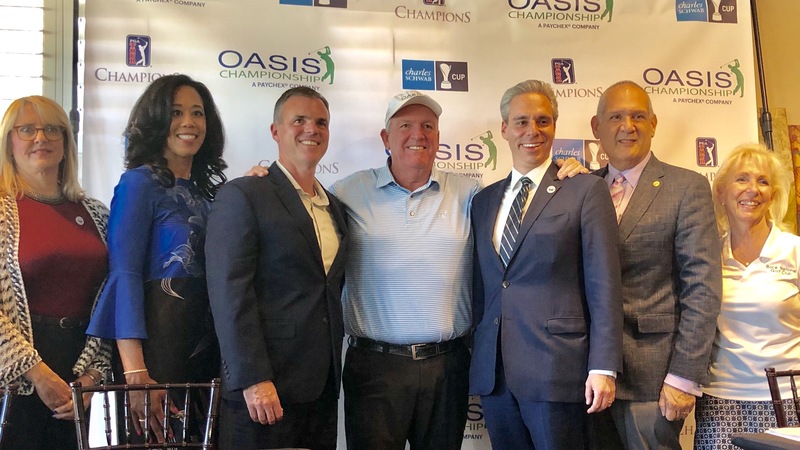 Oasis, A Paychex Company, the newly-named sponsor, will continue to bring world class golf to Boca Raton through the Oasis Championship, February 4 – 10, 2019. The Ciry of Boca Raton has provided the following tips to #KnowBeforeYouGo! 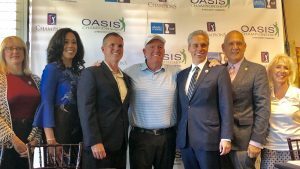 The 2019 Oasis Championship is the first full-field event of the PGA TOUR Championship season. Historically, the Oasis Championship attracts one of the best fields of the season including players such as Fred Couples, John Daly, Retief Goosen, Colin Montgomerie, David Toms, Bernhard Langer and Mark Calcavecchia, the 2018 tournament winner. This year, the 78-player field will compete for a $1.7 million purse and all three rounds will be televised on the Golf Channel. Schedule – View the schedule online on the Oasis Championship Tournament Schedule webpage. Players – Check out the list of 2019 Oasis Championship players scheduled to appear as of 1/28/2019. Tickets – Visit the Oasis Championship ticket page to view all ticket options. Parking payment – $10 to be taken at the event; prepayment is not available. How do I get there? – Visit the Oasis Championship Parking and Directions page for directions to the site from I-95 and the FL Turnpike. Let’s Be Friends – Like Oasis Championship on Facebookor follow on Twitter (@OasisChamp) and Instagram(@oasischampionship) to stay updated on event information and news. Spread the Love – Be sure to use the tournament hashtags #OasisChampionship and #PGATourChampions when posting from the event! Also use #LoveBocaRaton when around the City. You might be featured on one of our pages! Stay Connected with the City – For official City news, information and events, subscribe to our monthly City Connection. It takes four seconds or less for someone to break into your vehicle – After you park your car and head to the greens, be sure to lock your car and take all personal items with you. Never leave your keys in your vehicle. Plan ahead – Talk to your family members about a potential meet up spot around the event areas in case you get separated. Stay in the know – Follow Boca Raton Police Services on Twitter to get up-to-date information regarding road closures, train crossing reminders, bridge closures and emergencies. The cool weather has abated and the skies look clear for a wonderful week of championship golf. Broken Sound is considered one of the premier golf course communities in Palm Beach County, FL. It features resort-style, country club living in 28 private villages and has 23 tennis courts, a state-of-the-art fitness/spa center, aquatic area, dining facilities and two of the finest golf courses in South Florida. The original Broken Sound Club, now affectionately known as the “Old Course”, was founded in 1978 and designed by Joe Lee. Gene Bates completed a redesign of the Old Course in January 2004. The Old Course features an abundance of trees unique to South Florida and rolling fairways that give it a feel similar to courses in the Pinehurst, NC area. It includes the largest stand of natural Florida maples trees in the county. The Club Course, another Lee design, was opened in 1985 and also recently renovated by Bates. Broken Sound is located on the north side of Yamato Road on Old Course Way between Congress Avenue and Military Trail. 9:40am* – First Round of Championship Play – Televised on The Golf Channel from Noon-2:30 p.m.
9:40am* – Second Round of Championship Play – Televised on The Golf Channel from 3:30-5:30 p.m.
7:15am* – Final Round of Championship Play – Televised on The Golf Channel Saturday 3:00-5:00 p.m.